The Revolutionary Nutrition and Lifestyle Program to Help Fight High Blood Pressure"
36 MILLION OF THEM ARE TICKING TIME BOMBS! • Exercise and stress-reduction techniques and other lifestyle habits that can help reduce high blood pressure. author of "What Your Doctor May Not Tell You About Hypertension"
and general internal medicine with an active clinical and research practice as well as teaching responsibilities for Vanderbilt medical students, interns and residents. 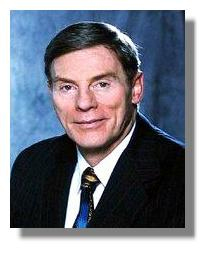 Dr. Houston has presented over 6,000 lectures on hypertension nationally and internationally and has published over 120 articles in peer reviewed medical journals as well as textbook chapters, handbooks, abstracts and films and completed over 50 clinical research studies in hypertension, hyperlipidemia and cardiovascular disease. In most cases, a doctor may not be able to pinpoint the exact cause of your high blood pressure. But several factors are known to increase blood pressure, including obesity, heavy alcohol use, family history of high blood pressure, high salt intake, and aging. A sedentary lifestyle, stress, low potassium intake, low calcium intake, and resistance to insulin may also cause your blood pressure to rise. If one or more of these factors is causing your high blood pressure, you have primary, or essential, high blood pressure, which is the most common type. Secondary high blood pressure is caused by certain medications or other conditions, such as pregnancy or narrowing of the kidney arteries. Labile hypertension is blood pressure that changes rapidly, often in response to stress or activity. This type of high blood pressure is most common in younger people. Isolated systolic high blood pressure is when systolic blood pressure is elevated above 140 mm Hg, but diastolic blood pressure stays at less than 90 mm Hg. This type of high blood pressure is more common in older adults, especially older women. If you are over 50, a systolic blood pressure over 140 is a more important risk factor for heart disease and stroke than your diastolic blood pressure. Are there risk factors that make it more likely I will develop high blood pressure? Several factors increase your risk for developing high blood pressure. Some of them, such as salt intake and alcohol consumption, are lifestyle issues that you can control. Other factors, such as your family history, are not controllable. A family history of high blood pressure. Aging. 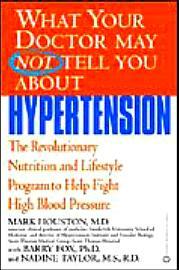 Ninety percent of people who, at age 55, do not have hypertension will eventually develop it Black race. Sodium (salt) intake. Excessive alcohol consumption. Low intake of potassium, magnesium, and calcium. Obesity. If you develop very severe high blood pressure, you may have headaches, visual disturbances, nausea, and vomiting. Malignant high blood pressure (hypertensive crisis), which is hypertension that rises rapidly, can also cause these symptoms. Untreated malignant hypertension can damage the brain, heart, eyes, or kidneys. It is a medical emergency that requires immediate hospitalization. Coronary artery disease, heart attack, heart failure, or abnormal heart beat. Kidney (renal failure). Peripheral vascular disease. Retinopathy, or damage to the tiny blood vessels that supply blood to the light-sensitive lining of the back of the eye (retina). Stroke. How will a health professional diagnose my high blood pressure? You will be diagnosed with hypertension if your blood pressure measurements are high (above 140/90 mm Hg) on three or more separate occasions. They are usually measured 1 to 2 weeks apart. Except in very severe cases, the diagnosis is not based on a single measurement. If a health professional suspects you have hypertension, he or she will conduct a physical exam and medical history. If there is reason to suspect that the blood pressure measurements taken in the doctor's office do not represent your accurate blood pressure (if, for example, you have white- coat hypertension), measuring blood pressure away from the doctor's office may be needed. Your blood pressure can rise more than 20 mm Hg systolic and 10 mm Hg diastolic from white-coat hypertension. Even routine activities, such as attending a meeting, can raise your blood pressure by that amount. Other factors that can raise your blood pressure include commuting to work, exposure to cold, and drinking large amounts of alcohol. reliability. Results from automated blood pressure testing, such as you might do at a grocery store or pharmacy, may not be accurate. Any high blood pressure measurement discovered during a blood pressure screening program needs to be confirmed by a health professional. How can I lower my high blood pressure? Who can treat my high blood pressure? Although you may have your blood pressure checked outside of a doctor's office, you must see a health professional to confirm that you have high blood pressure, so that you and your doctor can develop a treatment plan that's right for you. A family practice doctor, internist, nurse practitioner, or physician's assistant can diagnose and treat your high blood pressure. If you have extremely high blood pressure or heart problems, you may also need to see a heart specialist (cardiologist). What lifestyle changes will I have to make to lower my high blood pressure? If you have primary (essential) hypertension, you will first need to look closely at the foods you eat. Your health professional may recommend that you follow the DASH diet. Losing weight if you need to and exercising will also be important for lowering your blood pressure. If you smoke cigarettes, you will need to quit. If you are a heavy drinker, you will need to severely cut back on your consumption of alcohol. Also, it may be necessary for you to learn to check your blood pressure at home. High blood pressure treatment, whether it involves medication or lifestyle changes, usually is a lifelong process. Whether you need medication depends on the severity of your high blood pressure and whether you have other health problems or conditions, such as heart failure or diabetes, or are pregnant. If your doctor prescribes medication, it is extremely important to take your medications as prescribed. reducing blood pressure can be tried. Theses methods generally are considered to be safe and may have other benefits besides lowering blood pressure. Although there may be an association between a particular stressful situation and high blood pressure, this does not prove that altering the situation will affect blood pressure. Since it is simple to check your blood pressure, you can easily monitor the effects of these methods on lowering your blood pressure. help not only me, but thousands of other women experiencing the typical symptoms of perimenopause. Soy is SAFE and has been used as a staple in the diet of Japanese women for thousands of years. They are considered among the healthiest women in the world. Soy is effective and reliable, especially for those who can't or choose not to use hormone replacement therapy. The FDA approves the use of SOY in lowering cholesterol and providing general heart health. It's made from non-genetically engineered soybeans. Most of the soy products on the market are genetically modified. Revival is made from the isoflavones are taken from the heart" of the soybean where isoflavones are most concentrated. of 8 years, Pete Hueseman, R.Ph., P.D.